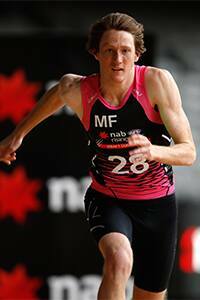 Highlights of Pick 39 Nathan Murphy Get to know Nathan Murphy, the player chosen by Collingwood at pick No. 39 in the 2017 National Draft. Collingwood has selected Sandringham Dragons forward Nathan Murphy with Pick No. 39 in the 2017 National Draft. Image: AFL Photos. Medium forward with excellent natural leap for the ball, Murphy is a strong overhead and is a clean mark out in front. An agile and versatile type with good goal sense, Muprhy was a prolific goal scorer at Brighton Grammar before playing for the Dragons. Outstanding cricketer having represented Victoria at underage level. Ran the 2km time trial in 6:21 at the Combine, which placed him among the best performers. - Murphy was an elite young cricketer, before opting to pursue an AFL career.